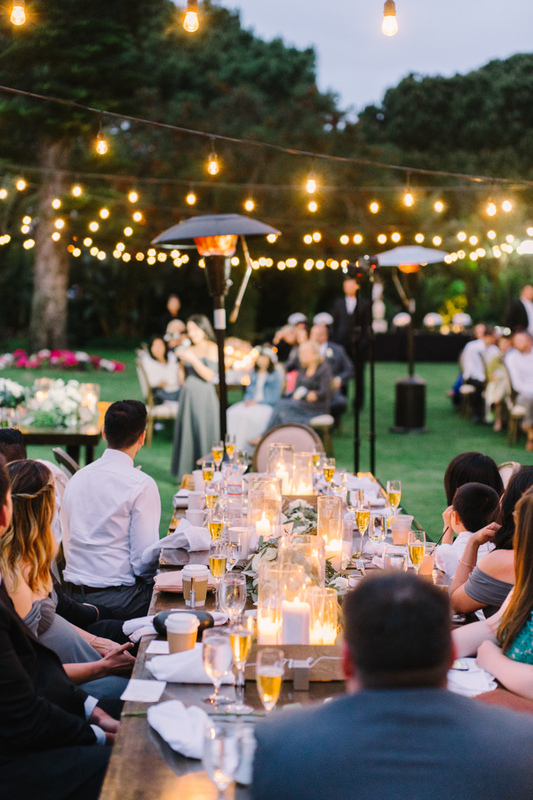 There's just something about outdoor weddings that always makes our hearts skip a beat and as partial as this may seem when done under San Diego's signature blue sky, we feel like it's always extra special. April and Troy's wedding is definitely no exemption. Love was in the air that day and in all the lovely details, styling, and stunningly dressed guests captured perfectly by Garrett Richardson Photography whose ability to tell a story with every single photograph left us in awe. Picking which photos to share was such a challenging task because every shot is more beautiful than the next! But in all the thoughtful details that made April and Troy's day a celebration to remember, it was the look of love, contentment, and complete trust in each other (scroll down to the last photo!) that easily won our hearts over. After all, no detail is more important than love itself.